Pétillant-Naturel wines, charmingly shortened to Pét-Nat, are some of the most fun wines out there. The (ancestral) method to its madness is that the wine is bottled (usually with a crown cap, like a beer) while still fermenting. Carbon dioxide, one of the byproducts of fermentation, gets trapped in the bottle. The resulting wine is a frothy, fizzy delight. They can be quite volatile, so open them slowly. (I’ve learned the hard way.) Pét-Nats are also risky to make because you’ve already bottled it while the wine is still doing its thing, so the results can be…unexpected. Pét-Nat is one of the wine world’s preeminent pleasure-givers, period. 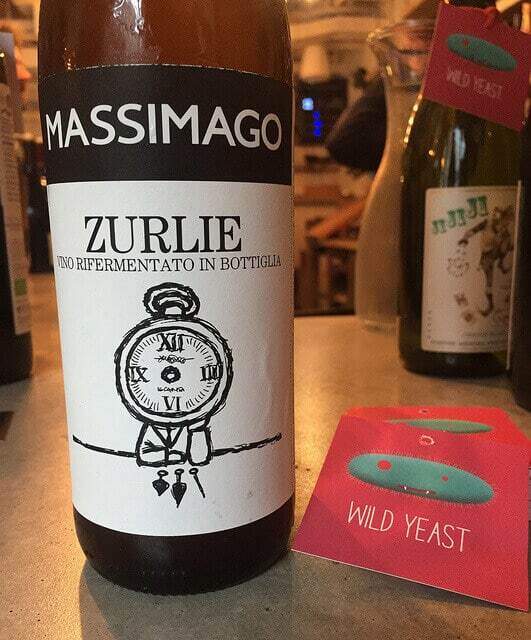 Recently I tasted a bunch at an event called “Wild Yeast.” Here are three that stood out. First two are Italian, the third from (yes) Vermont. This was really cool. Hard to tell due to the picture, but it’s in a bottle that seemingly made for a German wheat beer. The wine is composed of Corvina, a red grape that’s a big component in Valpolicella and Amarone. Paired with a sparkling rosé made from Corvina, I find the latter most evocative and lyrical. Finally, I got to say hello to Deirdre Heekin, winemaker/grape farmer (and more) from La Garagista in Vermont. She was nice enough to invite me to this tasting. I ran though her lineup of wines and the fizzy rosé, the Ci Confonde, was my favorite. It’s made from Frontenac Gris, and tasted like roses (the flowers). With a little grip on the finish, the Ci Confonde makes for a pretty amazing food wine. Great to taste through many fresh and fun bottles at the Wild Yeast event, starting with a Pét-Nat duo from @dmhparis. La Garagista Grace & Favour and Ci Confonde rosé are perfect first wines of the day. Go forth and find that fun fizz! First one ain’t Vermentino but Verdicchio, a completely different kind of italian grape. Commonly found in Marche region, where this wine came from. Great bottle, from a very serious producer. 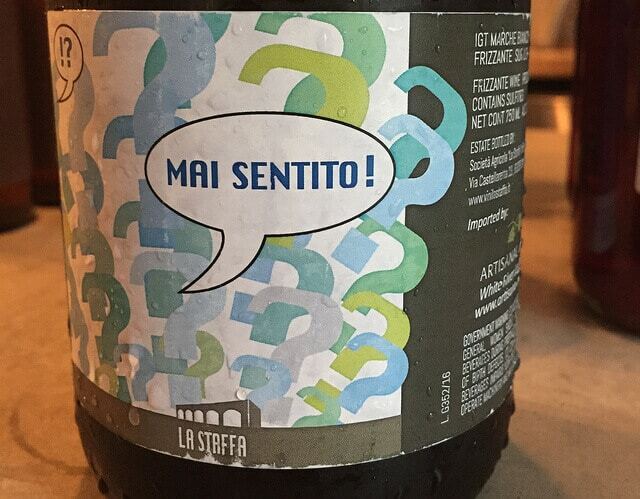 Also try the other wine of La Staffa; great overall quality! Whoops, you are correct. I went back and looked at my notes and they said Verdicchio so I don’t know what happened between my scribbles and this post. Post is updated. Thanks for your comment, I will seek out more of their wines.